The popularity of cloud computing and virtualization is growing ever-stronger, bringing numerous benefits to your organization. 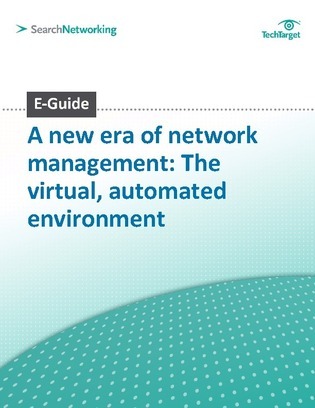 However, they also carry a whole new set of network management challenges to worry about, too. This E-Guide from SearchNetworking.com explores how to troubleshoot cloud application performance, and how SOA-based management can be a life-saver. Also learn how to discover, identify, and battle virtual machine (VM) sprawl. Learn the causes of VM sprawl and how to keep it under control.